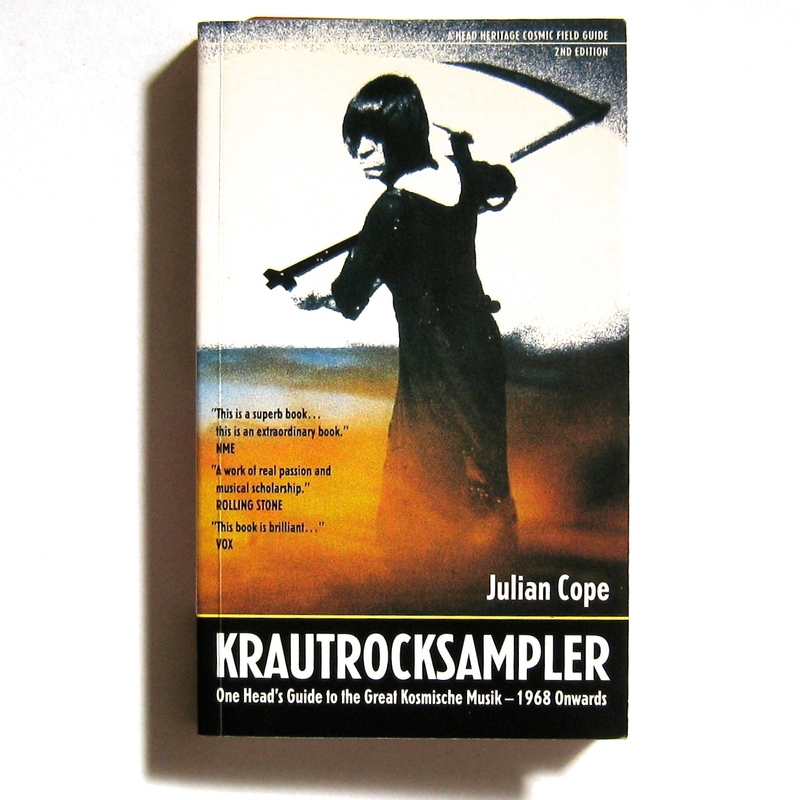 I cannot remember the date, but I recall the exact location where I took delivery of Julian Cope’s slim but influential paperback Krautrocksampler in Autumn 1996. There was a palpable thrill in opening the mail box near the front door at Langentalstraße 6 and finding a small parcel addressed to me. Not to Herr Schmidt in #1 nor Fraulein Thomas on the top floor, but to Mr Connection, an Aussie in Mainz. Perched on the broad windowsill of the first floor apartment, leaning out the window for a glimpse of the mighty Rhine and an occasional cigarette (“Kein Rauchen im Wohnzimmer, danke!”), I devoured this enthusiastic hymn to German independent rock music of the 70s. Occasionally bursting with outrage at Julian’s pronouncements – he’s very confident of his own opinions – but more often shouting a fist-pumping ‘Yea, Comrade!”, I made short work of the book and doubtless bored my partner rigid with my own opinions at every opportunity. Since arriving in Germany I had managed to expand my collection of so-called krautrock (a term coined by lazy UK journalists still in thrall to wartime jingoism) by a substantial number of titles. Indeed, I had even been interviewed by the Wiesbaden Gazette about teaching English in Germany and my love of this largely non-commercial music. My Deutsch having remained stubbornly limited, I had insufficient skills to tackle the article when it appeared but as my students managed – with great delicacy and politeness – to imply that the piece portrayed your correspondent as an absolute plonker, I’ve never been motivated to tangle with Google Translate. Being a long-term fan of the various streams and tributaries of this music, I’d brought with me the Freeman brothers essential reference tome. Living in vivo, as it were, surely I would snare some gems? Of course original albums of progressive rock are amongst the most sought out by collectors – particularly those artists from their own country – so it was deflating but not surprising to find that vinyl LPs were scarce and invariably priced well beyond my meagre budget. I did OK on the CD front, however, as Mainz boasted three dedicated music shops in addition to several other outlets with a limited selection. The smallest music shop in Mainz was nestled in behind the Cathedral on a winding cobbled street and it was here, in the second-hand section, that I picked up a copy of the first Neu! album on the dubious Germanofon label. Having only had a home-recorded cassette of the first two albums up to this point, this ‘unofficial’ CD of dodgy provenance was a step up. Even the small plastic-cased CD cover grabbed attention with its simplicity and directness. New! it yelled in day-glo letters. Take me home! And I did. The beginning of the Neu! story is part of the early Kraftwerk story. 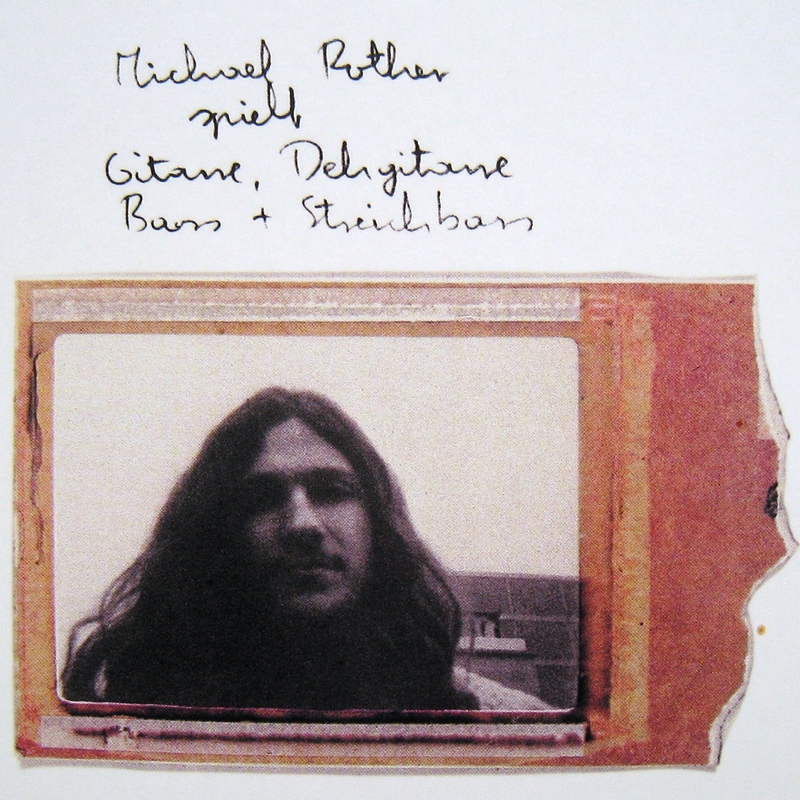 Michael Rother and Klaus Dinger were invited to join Kraftwerk founders and fellow Düsseldorf natives Florian Schneider and Ralf Hütter as the latter pair were exploring new directions for their experimental combo. A scheduled TV appearance on the German rock program Beat Club in June 1971 was billed as Kraftwerk yet when it came time to record, Hütter was AWOL. Based on head count it would be just as reasonable to call the resulting performance Neu! with Schneider as Kraftwerk with Rother and Dinger. 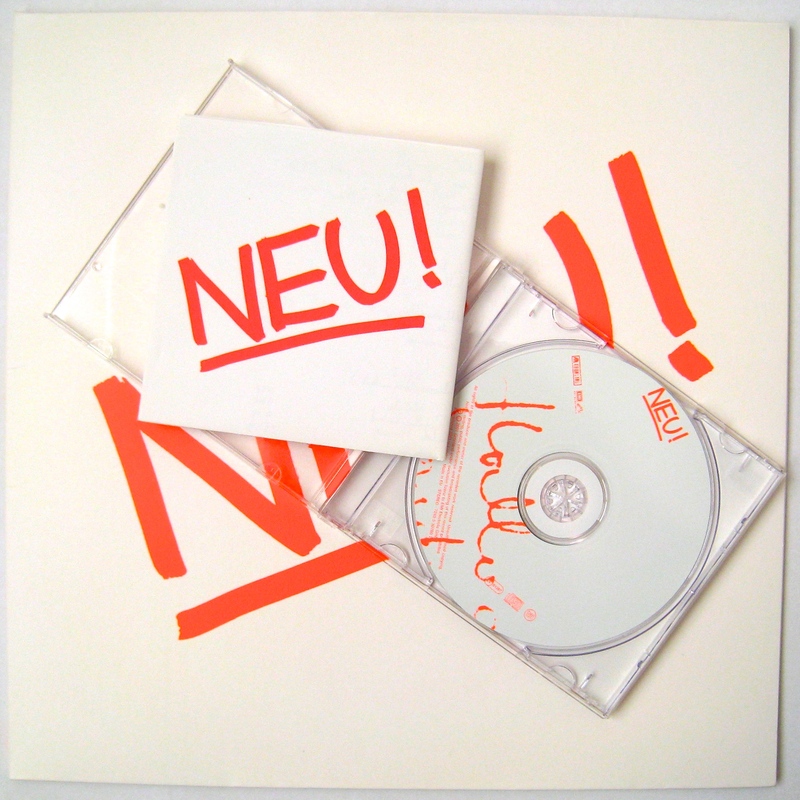 Certainly if you listen, the improvised beginning of the 11 minute piece evokes the Kraftwerk recordings of the time but then morphs into something much more identifiable as Neu!. The shape shifting between driving rhythmic repetition, heart-piercingly beautiful melodic wisps and uncomfortable experimentalism ultimately fragments the cohesion of the album. The result is a flawed masterpiece that remains fresh and engrossing over forty years on, not least because of those flaws. Neu!? It’s all there in the opening track “Hallogallo”. “Sonderangebot” (Special Offer) So much space you get lost in it. Something absent; waiting maybe. “Weissensee” (White Lake) There’s an unresolved sadness in the descending melody. Like gazing out a rain-smeared window, sheltered but alone. “Im Glück” (Happiness) A slow drifting dance on an electronic lake. “Negativland” (just add an ‘e’) Aliens using jack-hammers give way to guitar squall… then the slow bass-led groove kicks in. The guitars swoop and shriek above. Capricious tempo changes confuse… this is “Hallogallo” for the criminally disturbed. “Lieber Hönig” (Rather honey) A skeletal guitar melody overlaid with a laryngitis vocal. Effective drone. The watery oars from “Im Glück” return. A rather limp finish to a ground-breaking album. Part 2 of the Neu! special. For those into early Kraftwerk and Neu!, you will certainly enjoy the Beat Club clip. Newcomers might find the extended experimental improvisation of the first section a bit off-putting. 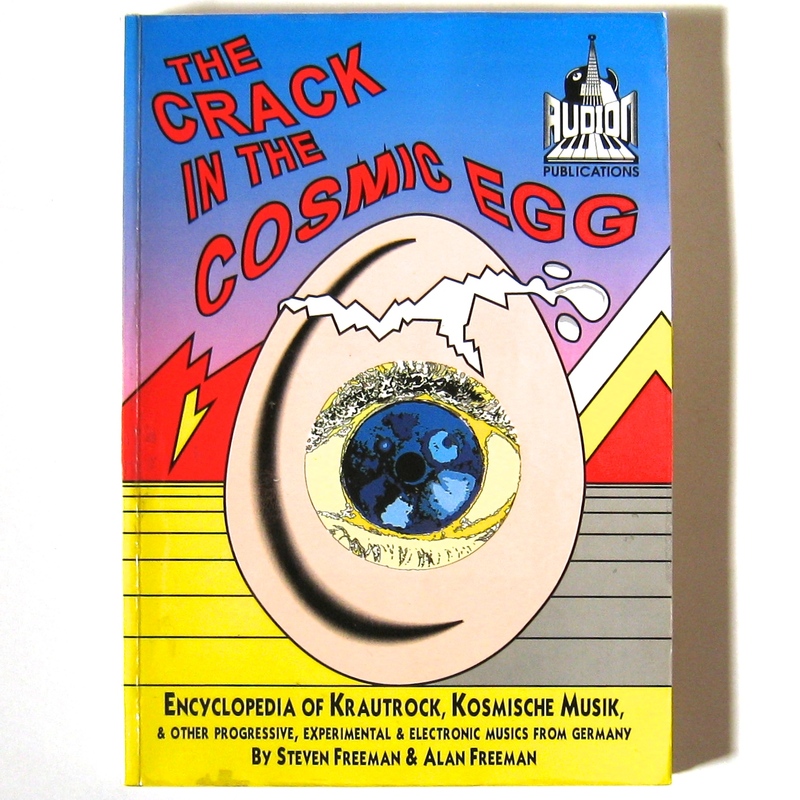 Steven Freeman & Alan Freeman “The Crack in the Cosmic Egg”. Audion Publications, UK, 1996. Neu – knights in White Vinyl? Indeed. Teutonic knights on motorik white steeds. I know nothing of any of this, and I had to turn the video off because it was scaring my dogs, but I wish I could say that I was once Ms. Surmise, an American in Mainz. I loved Germany when I was there and wanted to stay longer. It was so cool. With a creepy undertone, granted, but still way cool. Did you try the hounds on Hallogallo? That might have got them loping round the yard. Yes, it was a challenging but rewarding year in Germany and the fact that the relationship eventually failed was absolutely nothing to do with the partner in question. She was (and I’m sure still is) a fine person. Very chivalrous of you! I wonder if my ex-whatevers say that about me? Nah. Somehow I doubt it. lol. Loved this post. I had a copy of the Julian Cope in my hands, put it down and bought a crap single instead – goes for a fortune these days! Ah well. The other book looks really good too. 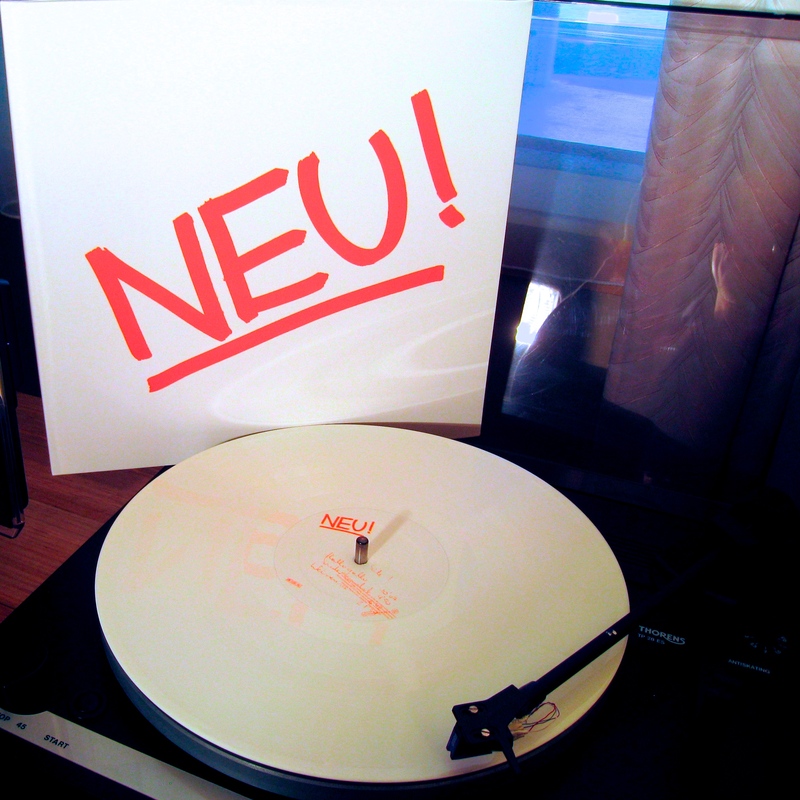 I love the first Neu! (White vinyl for me too) but find it difficult to get past ‘Hallogallo’ its just so good, I usually just end up listening to it four times and then putting something else on! Julian Cope said something to the affect that if they’d split up after making that one track, Neu! Would have still have changed music – couldn’t agree more. Glad you enjoyed it Joe. And sorry to rub your nose in missing out on the book. It’s just ornery of Saint Julian to refuse a reprint. ‘I’ve moved on’ he says airily. Sure, Jules, but some of us are resolutely stuck in the 70s! Have mercy! That’s right about Cope’s quote and I agree too. Though I’d like to read more recognition for early Can and the amazing early Tangerine Dream albums. Perhaps I’ll write about those someday, although my understanding is that ‘Krautrock’ is far less well known in North America than the UK and Aus. Was originally planning to cover Neu! 2 and 3 in the next post, but response so far is not that encouraging. We’ll see. I’ve never heard any other Neu! at all. I bought Cope’s Japrocksampler in the hope it would be similarly valuable in the years to come, the records cost too much to track down properly either. I’ve observed that collectibles are more accessible if you are a minor rock deity than for normal humans. 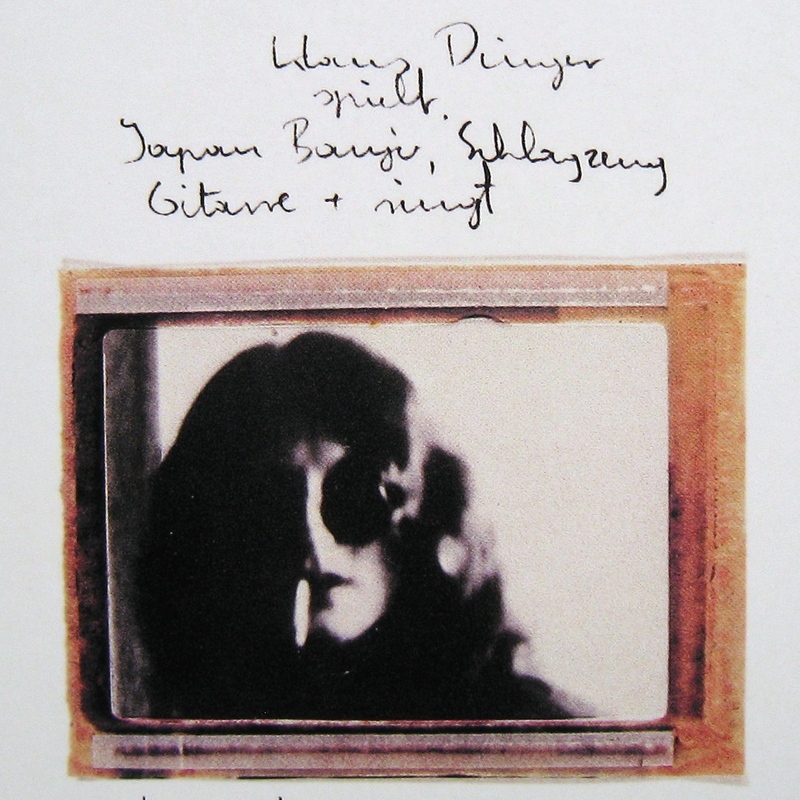 You get to collect cool rare records then write cool rare books about ’em. Well, my Welsh friend, given that gap in your aural history, I’ll just have to write Part Zwei. I can guarantee (pretty much) that I’ll both save you money and incite you to spend. Following on from my last brief mention of neu and kraut rock in general here is is a post from the excellent vinyl connection that covers the topic considerably more eruditely.